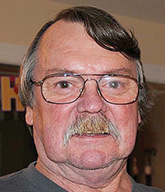 HEATHSVILLE—Andy Walter Saunders Sr., 69, of Heathsville passed away on January 24, 2019. He was a U.S. Army veteran having served in Vietnam and a mechanic for Bay Auto, Russell Pontiac and Sylvia Motor Company. He is survived by his wife, Victoria Layne; two daughters, Kristy Thomas of Ottoman and Angela Coates (Frankie) of Farnham; a son, Andy W. Saunders Jr. (Michelle) of Browns Store; grandchildren, Austin and Andrew Thomas, Cody Coates (Farrah) and Mendy Coates (Nick Thompson), three great-grandchildren, Tallen and Bryleigh Coates and Maisley Thompson; and sisters, Edna Foster (Sam) of Deltaville and Maude Self (Tom) of Gloucester. Funeral services were held at 2 p.m. Tuesday, January 29, at Currie Funeral Home, Kilmarnock. Interment followed the service at Woodlawn Cemetery. Family received friends from 5-7 p.m. Monday, January 28, at the funeral home.